I'm still here! i miss your bloggins! She's beautiful! 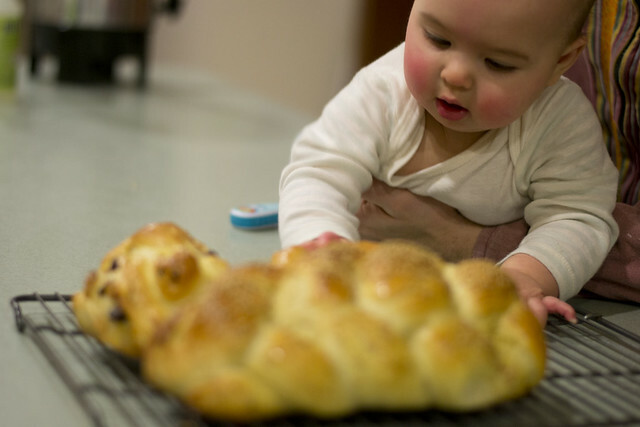 Freezing challah is the only way to stay sane with little ones! Hope you are ok! 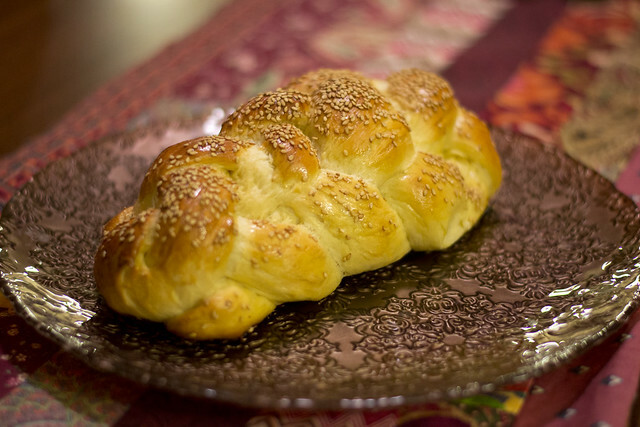 I am new here and found you easily by a simple google search for small yield challah. Happy to find you! GBY! Still here- and I completely understand! 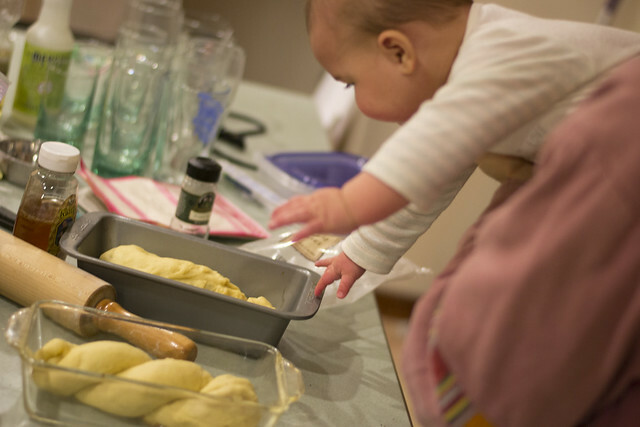 I used to bake weekly - and then abandoned that when my son came along! In fact - it's YOU who got me back into baking challah!! Now maybe I can impart some of my own wisdom to you and pass the favor back! 2) There are a couple brands of OU pareve frozen bread dough in grocery store these days. One is Rhodes and Kroger makes a store brand version of the same. You can get a bag of 3- 1 lb loaves and just defrost - braid- brush then bake or they also come in bags of 12 rolls or 36 rolls. I have been known to put 12 rolls in a loaf pan - let rise and bake. Done. (I have also been known to make babka or cinnamon rolls out of it!) 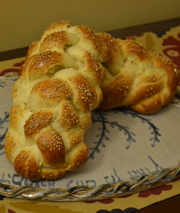 Easiest challah ever - and still with your own hands! Enjoy your little one - and thank you for even the occasional post. We'll wait for you! Question: what do you do with the portion you use for blessing, before you braid? And what blessing do you use? Thanks for the blog, lovin it! This is a test. 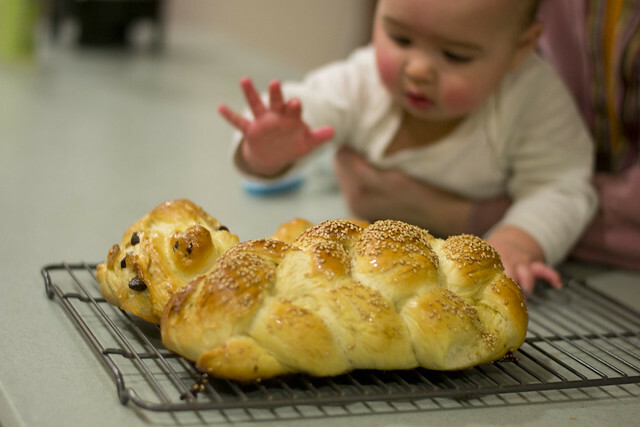 <3 challah and babies!